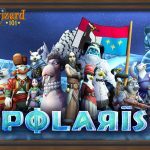 Polaris has 2 bosses to farm for gear: Baba Yaga and Rasputin. However, both bosses can be a challenge even for an experienced team and as such farming them may seem intimidating. Today’s guide will focus on how you can defeat Baba Yaga in 2 rounds leading to a smoother and faster farming experience. Looking for the Baba Yaga Drop List? You can find it by clicking here. While the above explanation may seem to be a joke, that is literally all there is to a successful run of Baba Yaga. Baba Yaga has no cheats that stop feint and her cheats don’t start until round 3. By defeating her in 2 rounds you negate the majority of the damage she can deal along with ignoring the majority of her utility. Here is all you need to pull off this strategy. Turn 2(Ideal)-Players 1-3 cast their other feint while Player 4 casts their attack. Turn 2(Baba Yaga Shields the turn prior)-2 of the 3 Players cast feint while 1 Player casts Shatter. Player 4 casts their attack. Turn 2(Baba Yaga Virulent Plagues the turn prior)-2 of the 3 Players cast feint while 1 Player casts Cleanse Charm. Player 4 casts their attack. Only 3 different feints are needed turn one so if you cannot find 6 different feints don’t sweat it. Simply ensure each player has a different type of feint(TC, Regular and Potent) and a different type of blade for the hitter(TC, Regular and Sharpen Elemental/Spirit Blade). This will still lead to a successful 2 round kill scenario: Round 1-Feints, Round 2-Blades. The Great thing about this strategy is that it can work with any school’s hitter(myth school will require one person to replace feint with a myth convert). Here are the recommended spells per school Hitter. Enter all at once with the hitter in the last position!- Unlike Rasputin you can choose when to enter Baba Yaga and in what order. Take full advantage of this. Players 1-3 can enter in whatever order they want but it is recommended you have Player 4 in the last position. An easy way I have found to get people in the circle on time is to have someone as the designated counter. it can be as simple as counting 3…2…1…Go or Ready…Set…Go. Whatever works to get your group in as a unit. This is particularly important as Baba Yaga’s tardiness cheat of Polymorphing you into an egg can ruin the strategy if she polymorphs your hitter. Don’t pack anything extra!- One of the biggest mistakes I see new groups make is trying to insert enough cards for every eventuality. I know that a 4 card deck may seem scary and even downright crazy but packing your deck with extra unneeded cards simply prolongs the battle and can even lead to a failed run. For example lets say that players 1-3 decided to play a myth shield instead of feint: Normally this isn’t a bad idea since Baba Yaga is a Myth boss. However by doing so you will fail to kill Baba Yaga and the next round she will summon her Minotaur Minion-effectively collapsing the strategy. Don’t be afraid to flee!– For whatever reason wizards seem to have a built in aversion to fleeing. I am here to tell you that it’s ok to flee. When you are doing a speed run strategy on a boss like this it is often better to flee than try to salvage the run if something goes wrong. If your hitter joins late and gets turned into an egg it is 100% ok to flee…otherwise you are going to have a bad day. Don’t be an Eric!!!!!! !– As bored as you may become; I do not recommend winging it and/or casting random spells for fun. For example- casting a Zeus Jewel Spell on the round you are supposed to be killing Rasputin will typically end with your teammates beating you about the head and shoulder with lead pipes and/or the nearest blunt objects(Based on a True Story). P.S-beguiling the Life minion to heal your dead teammate after your shenanigans will surprisingly NOT lead to the outpouring of effusive gratitude that the reasonable person might expect. Tell us How the 2 Round Baba Yaga Strategy Works For you in the Comments below!